Matt has practised martial arts most of his life and has traveled around the world to seek out the very best teachers he could find in a variety of systems to give him a better understanding of what makes a complete martial artist. This journey of knowledge has led Matt to train extensively in Wing Chun Kung Fu, Kali & Real Contact Stick Fighting with the Dog Brothers & Satria Fighting Arts (Pencak Silat). He has also trained in many other arts including Muay Thai Boxing, Brazilian Jiu Jitsu (BJJ) and Taekwondo. Matt has taught people from all walks of life and believes in tailoring the martial art to the individual and not the other way round. He has also run bespoke Self Protection courses at schools and colleges and has taught seminars at martial arts trade shows, dojos and combat gyms as a guest teacher. In 2014 Matt started training privately with Steven and Laarni Benitez in Pencak Silat and their Satria Fighting Arts, being accepted as an apprentice instructor in 2015. This beautifully deceptive and explosive art allowed Matt to fully harness all his previous training and to continue to explore many new skills and now has a very heavy influence on his future journey as a martial artist. 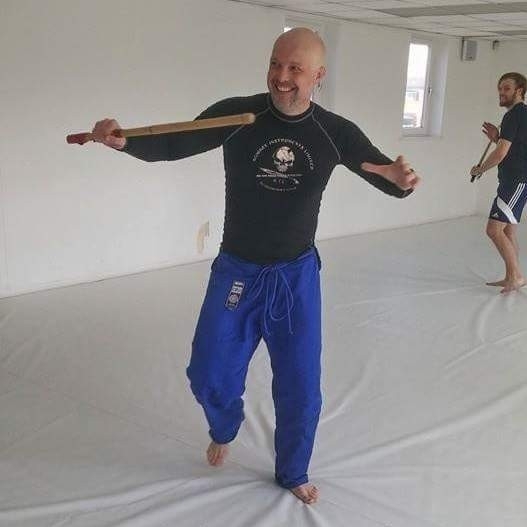 Matt now teaches around the South Eastern UK counties of Sussex, Surrey and Kent, offering a variety of martial arts & fitness classes for both adults and children. In 2015 Matt is launching his new Warriors Kids and Junior Warriors children’s classes in East Grinstead, West Sussex.